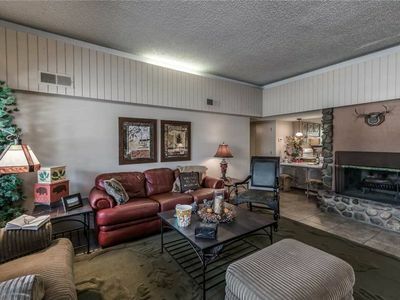 Fairway Meadows Condo: Cute 2 Bedroom, 2 Bathroom ON the Golf Course!! 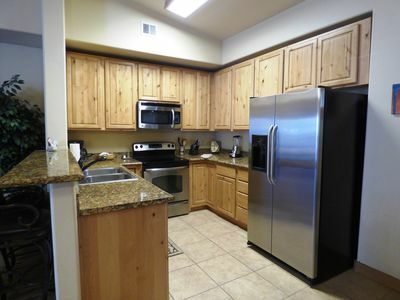 This adorable 2 bedroom, 2 bath condo has a beautiful, bird's- eye view of the golf course! 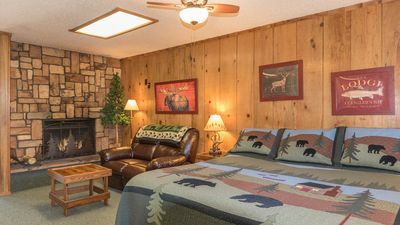 The master bedroom has a king bed, while the other bedroom has a queen. 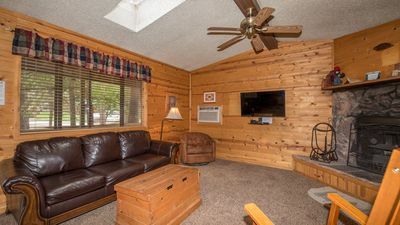 The bathrooms both have shower/ tub combos. 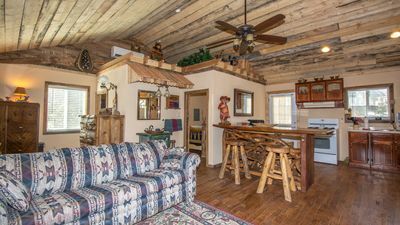 The condo boasts a full, well-stocked kitchen with a little dining table and chairs and an open floor plan. 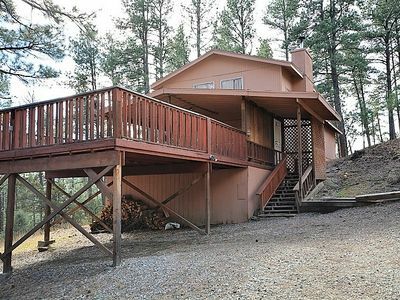 The back deck is on the golf course with a nice view with chairs to relax in. 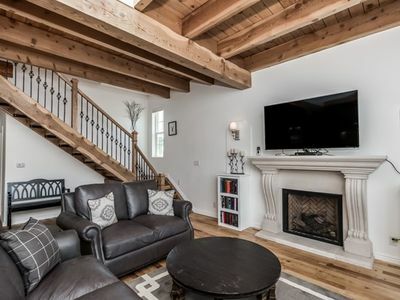 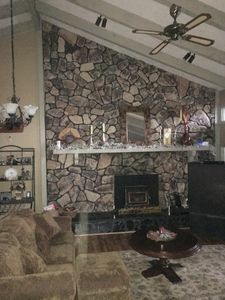 There is a fireplace in the living room (fire logs only, please). 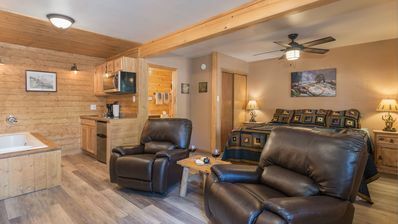 This condo is great for up to 6 people. 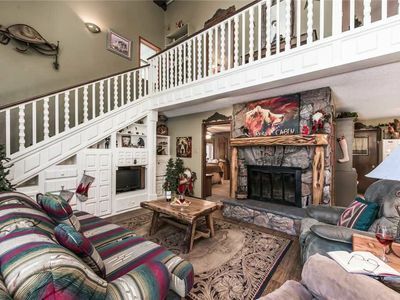 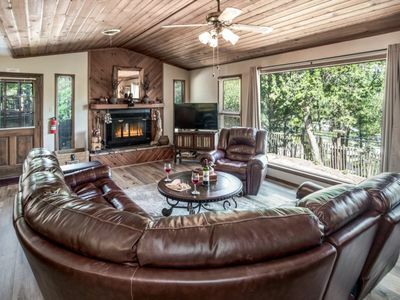 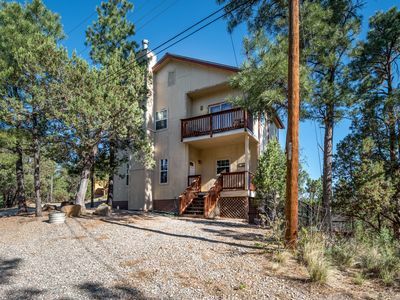 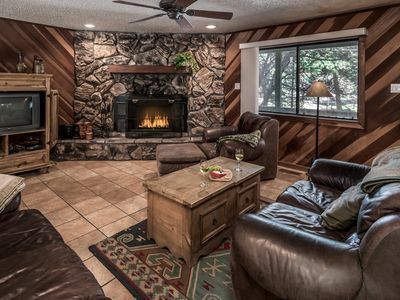 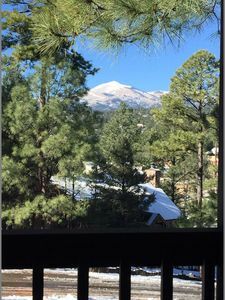 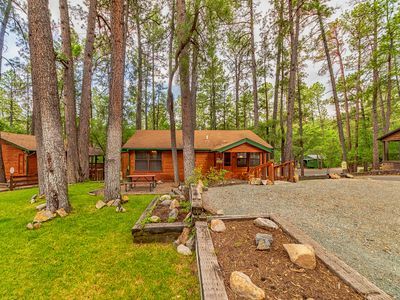 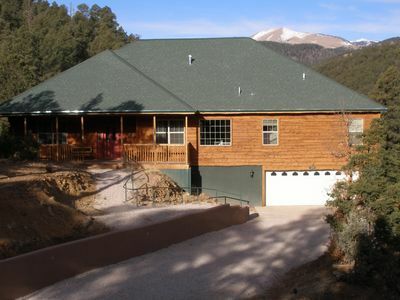 Venado Vacation Home centrally located in Ruidoso comfortably sleeps 10! 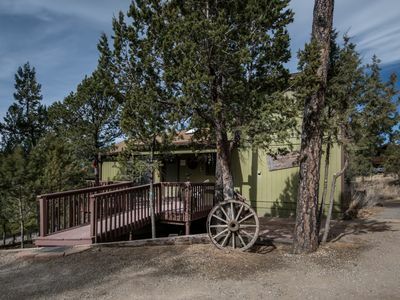 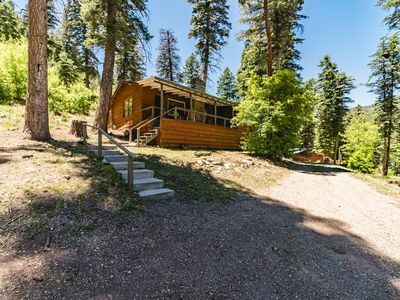 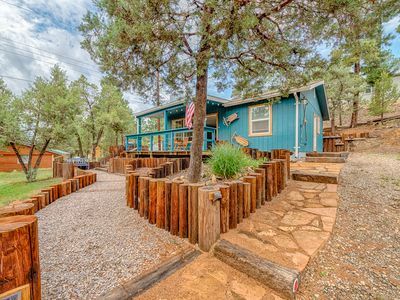 Circle Bar: Cute, Rustic 2 bedroom 2 bath cabin with a hot tub in the Upper Canyon! 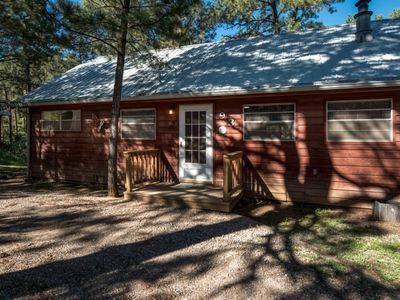 Deer Cabin: super cute remodeled 2 bedroom, 1 bath with a hot tub! 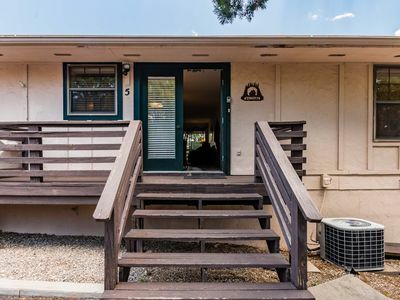 French Park is such a bonus, it is really two luxury homes in one.